(Disclaimer 2: I actually turned 21 weeks on 16 Apr, but didn’t want to miss anything in the update, so I have decided my update posts will be the following Monday of the week). Your baby is now the size of a carrot. 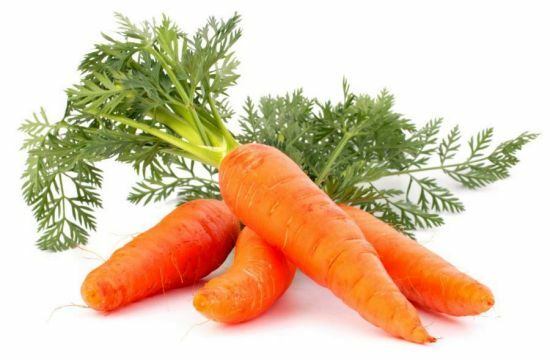 Your baby is as long as a carrot, and his skin now responds to touch. If you put pressure on your belly, he'll move away or push back. Total weight gain/loss: I am 170 pounds. I have gained 16 pounds overall this pregnancy. Sleep: This week I have been very tired, most of the day. By the end of the work day, I actually catch a ten minute nap in the car in the parking lot before driving home. I am also in pain at night. Best moment of the week: There were two. The anatomy scan was two hours of bliss. The other was spending time with my eldest son. We haven’t had a lot of alone time, so I was glad to share it with him. Not so great moment of the week: A severe miscommunication with my husband led to our spending our anniversary doing nothing…at all. Miss Anything? : Not at the moment. What I'm loving? : A pretty good week. Easter holiday, a wedding anniversary, and family time. Anything make you queasy or sick: Not eating and overdoing it. Looking forward to: A Sip and Paint event my gf is hosting. Obviously, I can’t sip, but I am looking forward to the painting part. Hi everyone! I had my anatomy scan a couple of days ago and have finally had some time to share a post about it. Little one looks healthy and happy and was very well behaved during the scan. I was there for about a little over two hours and they measured and scanned everything. 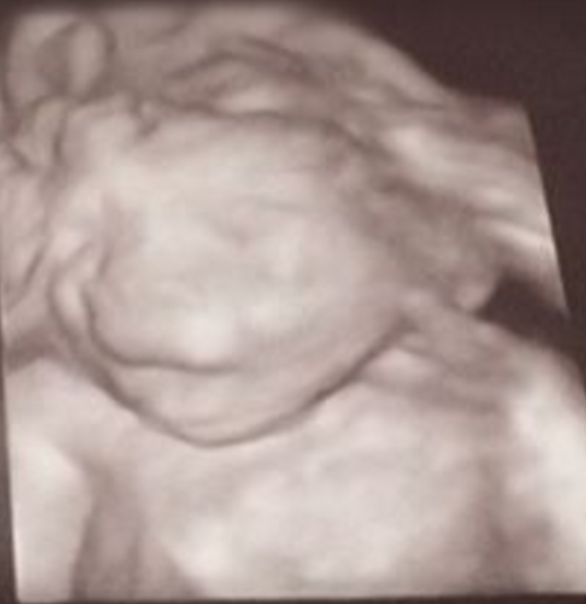 I also got to see the baby in 3D, which was a first for me and was beautiful. Little one was yawning and it was such a precious moment that I got teary eyed. S. couldn’t join me and I felt bad at first that he wouldn’t be there, but I have to say that there was something so extremely intimate and powerful about seeing your child on a screen being happy and free. No interruptions, just peace. It was beautiful. I am not scheduled for another scan until 32 weeks. I’m looking forward to that time, just to see how big Little one has gotten since we only listen to heartbeats in the office. It’s still amazing to me that we are at this moment and everything is flowing well. We’ll keep praying it stays that way. I hope you enjoy the pictures and have a very great day. 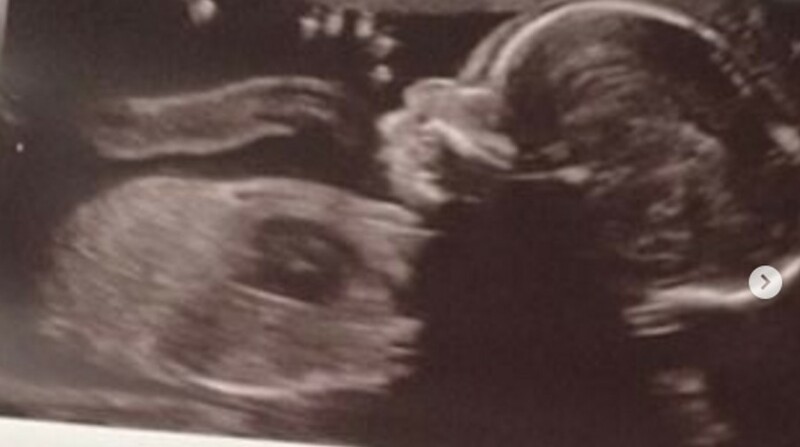 By the way, any guesses what Little one may be? We're still #TeamGreen here, but it's been fun hearing the guess of everyone. Hello everyone! I hope you all had an amazing Easter holiday. I really enjoyed just spending time with the family and celebration the death, burial, and resurrection of Jesus Christ. On Saturday morning, I woke early to help fill and hide Easter eggs for the church-sponsored hunt. There were so many eggs! We stuffed quite a few, ran out of filling for some, but still had a great time. S. took our eldest with him early that AM to help one of our members move and they were finished early enough to come out, help, and enjoy. (Disclaimer 2: I actually turned 20 weeks on 9 Apr, but didn’t want to miss anything in the update, so I have decided my update posts will be the following Monday of the week). 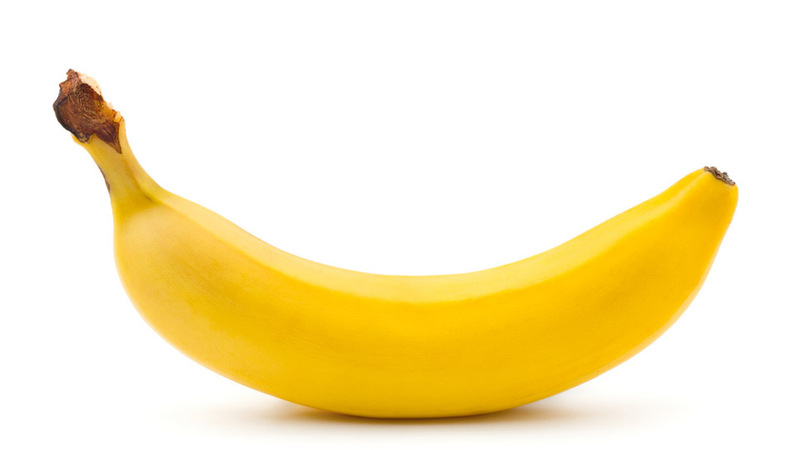 Your baby is now the size of a banana. The legs are longer than the arms and baby will start giving me “hello” jabs at regular intervals, some of which I can actually feel. Total weight gain/loss: I am 168 pounds. I have gained 14 pounds since pregnancy. Maternity clothes? : Yes. I have worn maternity attire every day this week with one or two pre-pregnancy stage clothes sprinkled through. The outfit below is one of my favorite. It's so comfortable, stylish, and I can accessorize it a number of ways. Love it. 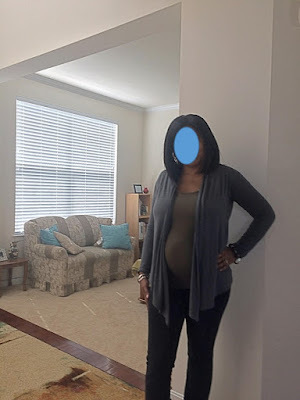 I bought the cardigan from Zulily and the pregnancy tank from Target. Love how comfortable they are. Sleep: I have a lot of back pain now, so I spend some time getting into position. Then I’m good to go until I wake for the bathroom still twice a night. Best moment of the week: Easter fellowship with the family. Braxton Hicks? : New question since we retired the does the family know one! YES! And unlike my first, these bamas hurt sometimes! The first hit me when visiting with my mom at the Maryland House Toll Plaza/Rest Stop. It went from tummy to back and hurt! I had to visibly stop, collect myself, and breathe through it! Then it happened again two minutes later. Rehydrated and felt some better. That night, I felt them without pain. How fun! What I'm loving? : This beautiful weather! I took a walk at work and the Vitamin D was so appreciated. I have also taken to walking some in the afternoon. Hopefully, if we can maintain these temperatures, I can walk up until delivery day and help with labor. What I'm not loving? : The cramps in my leg and backs. Movement: Yes. 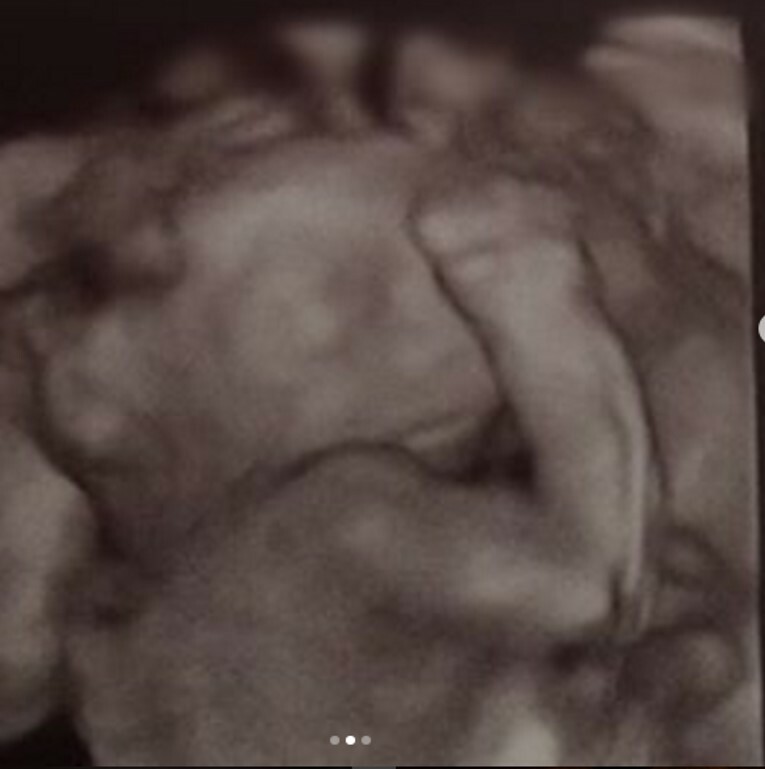 It’s weird because I feel baby in the very bottom of my belly, truly “in the womb” whereas baby’s brother was all over the place and I could feel/see his movements in my belly at 20 weeks. This baby seems to like to hang out in closer quarters. Looking forward to: Going to my first Paint n' Sip party. Obviously, my sipping will be virgin, but I'm really looking forward to trying to paint. 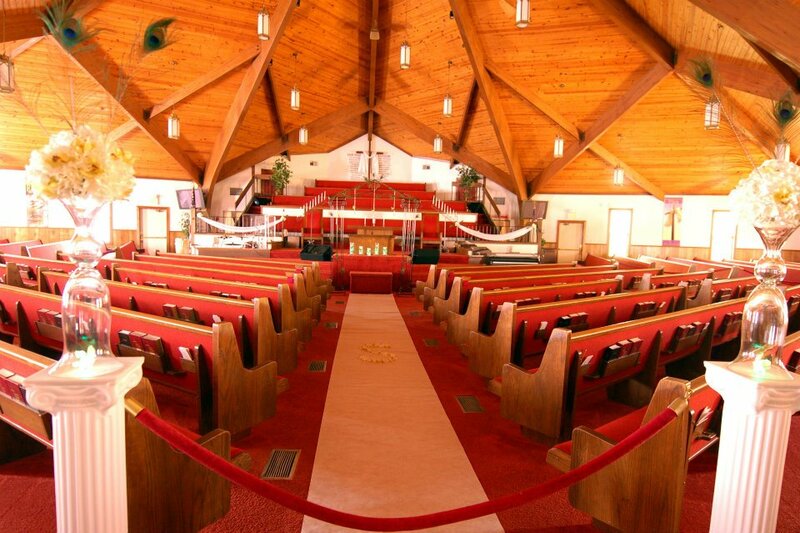 HAPPY RESURRECTION SUNDAY! HAPPY EASTER!! 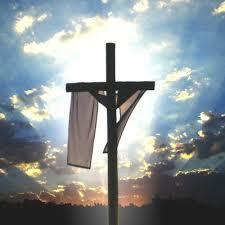 Today is Good Friday. I sit here and can't help but think about how so many, many years ago Jesus was beaten and bruised, flogged and scourged when he'd done nothing wrong. He took it all without a word and He took it for me. I'm still in awe of that and still well aware that I don't deserve it, but am so thankful for His love and obedience to our Father. Today, I'm sitting at my desk and I'm thinking of all the things this day represents. I am also thinking of all those people who look at me crazy because I believe those things. But I still believe. I am thankful more than ever about this peace and the love that has been shown to me and my family...even in the darkest and most difficult of times. My plan isn't to overrun you with scriptures or faith speak. I only share what as been the pinnacle of my journey with infertility. My faith in God. This faith has also sustained me through depression, through low self-esteem, and from abuse. I am so thankful for the love Christ has shown me and I truly invite you to just try Him. Earnestly, try Him. The Bible says that God loved us so much that He allowed His only son, Jesus, to die on the cross for all of our sins so that we might have eternal life with Him forever. Jesus offers forgiveness, peace, and purpose. Hi everyone! It’s been a pretty awesome weekend. The kids and I woke up very early to drive to the Maryland House rest stop and meet the kids’ grandmother aka Umi there because she had some Easter goodies she wanted to give them. My mom lives about 5.5. hours away and works crazy hours as a nurse. Sometimes it’s hard to catch her to see the kids, so we meet at the rest stop—halfway point for both—so we can catch up. 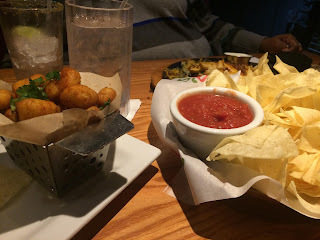 Since the MD House has been renovated, we grab a bite to eat at one of the restaurants, let the kids run around on the green space for a bit, and after a while load back up to go back to our homes before the next actual home visit. I didn’t stay as long as we usually do this time because I had to sing the next day and I also knew I would be seeing her in about two months’ time for a summer visit. The kids, however didn’t mind and had a great time with Umi. The next morning we got up pretty early to attend church services. I was able to find a nice little ensemble that fit my baby belly and didn’t make me look too frumpy lol. This Sunday was Palm Sunday and I always enjoy the blessing of the palms, the significance of the story of the Triumphant Entry, and the realization that Christ knew that it would not be long before he gave His life for everyone. Church service was beautiful although my daughter was a bit antsy and with no nursey services, I had to turn to her a couple of times to remind her of expected behavior. I realized toward the end that she wasn’t misbehaving, just fighting sleep as her schedule had been pushed back when we went to visit with Umi. I encouraged her to try and nap, but to little avail. In addition to Palm Sunday, it was also Youth Sunday, which meant our son was singing. It also meant the blessing of babies. One of our favorite couples were blessing their recently born daughter. It is always such a beautiful sight to see babies blessed and prayer for. After church was over, we went to the baby’s home for a Christening celebration. Since the game was on, the men were more than excited to participate. S. usually loves these events, but was feeling poorly and missed out. You know he is sick when he misses food. He actually stripped from church clothes to chill clothes and was in the bed in five minutes after walking through the door. He insisted I go with the kids since the hosts were expecting me (and I suspect he needed the quiet to recuperate). The kids really enjoyed themselves racing in the yard, playing with their cousins, and having a great time. Their cousins are already on Spring break, so our son was a bit disappointed when we left while the sun was shining. I explained that he had school and I had work the next day. His cousins didn’t and could stay and play all evening. All of this fellowship just opens up to the activities coming for the next few weeks. There are two Easter egg hunts, Easter services, family and love. 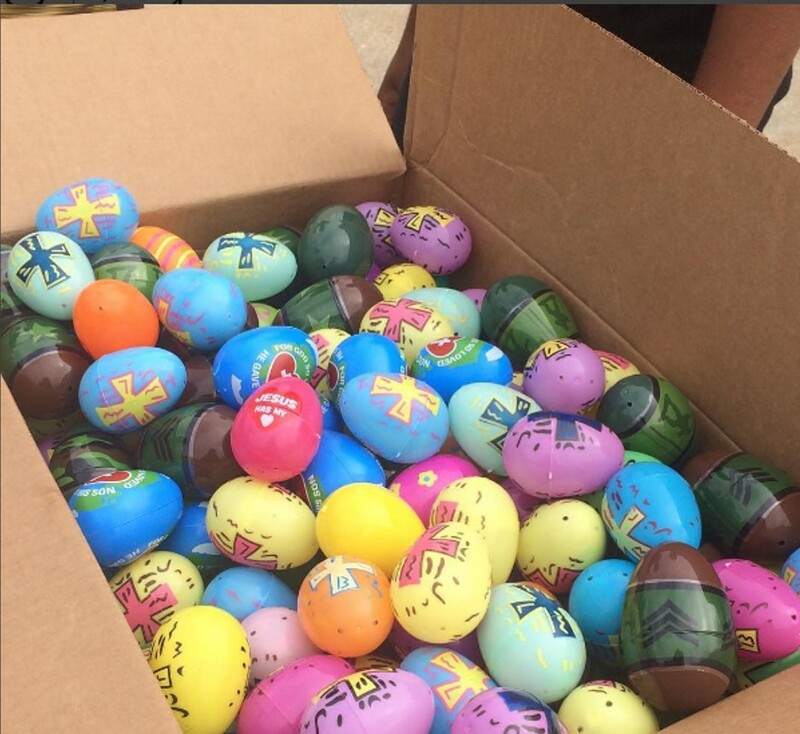 One hunt is the Annual Hunt sponsored by our church with a golden Resurrection Egg. I volunteered to help hide eggs for some of the older groups. That way when my son and daughter hunt, there will be no conflict of interest in finding eggs. I’m most excited about the person egg hunt I’m throwing at the house. I plan on doing it once we get home from church. I will hide the eggs, take a few pictures of the before, make sure the kids have changed out of their church clothes, and release them into the yard for Easter Egg hunting. I’m heading to the Dollar Tree and Five Below this week/weekend for plastic eggs, candy, and also stuffers for their Easter baskets. I’m very excited. How as your weekend? 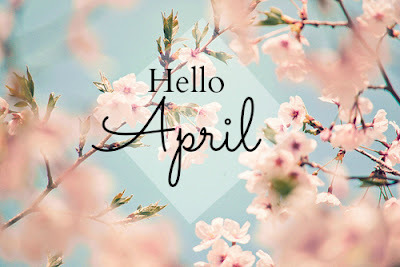 (Disclaimer 2: I actually turned 19 weeks on 2 Apr, but didn’t want to miss anything in the update, so I have decided my update posts will be the following Monday of the week). 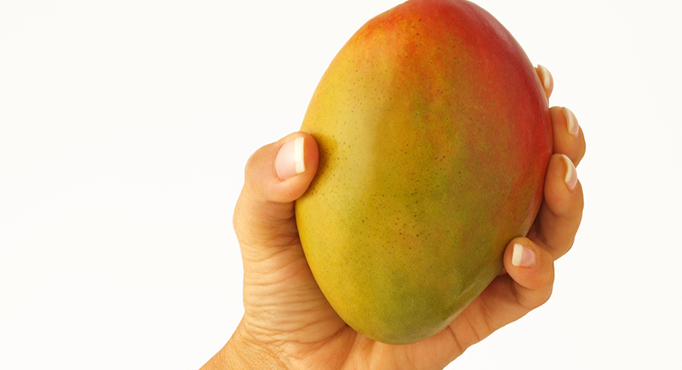 Your baby is now the size of a mango. The legs are longer than the arms and baby will start giving me “hello” jabs at regular intervals, some of which I can actually feel. Total weight gain/loss: Unknown. I haven’t weight myself this week. Maternity clothes? : Yes. 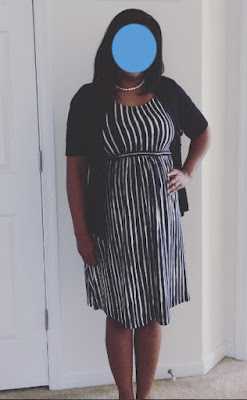 This week I wore some piece of maternity attire each day. My favorites were definitely the Liz Lange Maternity dress from Target (wore to church on Sunday. See pic) and the comfortable Liz Lange Maternity tank, Zulily cardigan, and maternity pants a colleague gifted me with for a work outfit. Stretch marks? : Yep, but I can’t tell if they are the ones from my first pregnancy just visiting again. Either way…badges of honor! Sleep: Restless. It takes a while to get comfortable and I still wake twice a night to go to the bathroom. Best moment of the week: Going to my son’s middle school orientation. I felt so much better after the orientation. He’s growing up. Not so great moment of the week: I overdid it last Sunday (2 Apr) and had intense back and side pain all night long. When I asked S. to massage my back or rub my belly, he was too engrossed in the game to hear me and when he finally did, he still couldn’t focus on helping me. Sigh. What I'm loving? : Fruits and vegetables. I had strawberries earlier in the week and they were phenomenal. The baby loved them as well as the movement was nonstop after I had them. What I'm not loving? : Full disclosure. The occasional feeling of doing this solo. Pregnancy hormones are real. Sometimes I feel like I’m doing this solo. I had some pretty big thoughts of what my husband would do when we he found out we were pregnant. Belly rubs, date nights, hand holding, just enjoying the moment. More often than not lately it doesn’t seem to go that way and my hormones cause it to hurt more than it should. That and yucky weather. Anything make you queasy or sick: If I don’t eat every two hours. Gender prediction: #teamgreen, My NC family swears its a girl. Looking forward to: Our anataomy scan in a couple of weeks. Okay, everyone. Keep me calm! Calm. ME. DOWN!!! Today, my baby. My firstborn son. My heartstring. Ya’ll! My baby is going to middle school orientation! What?! Seriously! Where the HECK did that come from?! Who gave time permission to fly like that? I was JUST carrying him in my womb yesterday and today, he’s going to middle school orientation?! WHAT!!!! Oh, and let us be clear. It’s he who attends orientation first. Yes, all of his grade mates are bussing their happy selves along with their teachers to the middle school to tour the facility, see the different activities available to the, hear about the middle school experience, and get their sign up sheets so they can think about the classes they want to sign up for. S. and I have to wait until this evening when parents are allowed to experience the same thing. Oh my! My baby is growing up!!!! Okay, okay. I know I can’t freak out too much. After all, I am the adult. But seriously, my son is growing up and I couldn’t be prouder. He’s such a loving child, so strong in his faith, so kind to others. I know some of those things will make him a target to others. I hope he can find some great friends and do well. I met one of my best friends in middle school. Twenty years later, we are still friends and I can call her just to say I am thinking of you. I pray he finds that kind of friendship and grows comfortable in his own skin. I can’t escape the irony that as I prepare my household for one middle schooler, I am also preparing it for a new baby. I would have never called that. But I’m more thank thankful for it. That being said “WOW!!!! I have an almost middle schooler! Guys! My little is growing up! Weekend Recap: April is here! Hello everyone! Happy April! I am currently sitting here in this recliner with my back cursing me out in all kind of languages all completely my fault. I've had a pretty busy weekend. Saturday was my nephew's one year old birthday. He is such a laid back and special little boy. He just observes everything and then decides to crawl to what he wants. On his birthday, he discovered the joys of sugar and had a ball with his birthday. (Disclaimer 2: I actually turned 18 weeks on 26 Mar, but didn’t want to miss anything in the update, so I have decided my update posts will be the following Monday of the week). 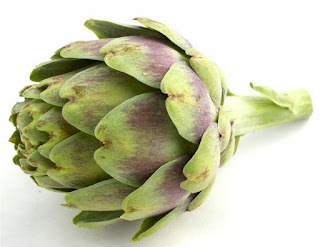 Your baby is now the size of a artichoke. Your baby is now about the size of a small artichoke—and tiny fingers now have unique fingerprints! Maternity clothes? : Yes. I’m pretty much wearing a combo of maternity/non-maternity clothes depending on what fits. Over panel pants and jeans are still my favorite. Maternity bras are nice, but I need some with a bit more support as my breasts are still very sensitive. Stretch marks? : I don’t see any new ones. Sleep: It takes a while to go to sleep now. I still wake to pee. The snoring remains. Best moment of the week: Girls' Night Out with my two sister-friends. I really needed the adult conversation and laughs...oh and cheese curds. Not so great moment of the week: Full disclosure. I’ve been moody as all get out. I even annoy myself at home. I’m trying to do better, but man. Have you told family and friends: Yes. Miss Anything? : Not snoring, lol. I wake myself up and I am afraid to go back to sleep because I don't wan to wake my husband. Poor S.
What I'm loving? : The way my belly bump looks in these maternity clothes and feeling baby bean move throughout the day. What I'm not loving? : The moodiness. I was NOT moody with my first pregnancy. Food cravings: Ginger ale. Seriously, I want it a lot and only Seagram's. No other will do. Fortunately, I'm holding it to one a week. Food aversion: Chicken, blech! (But I'm still cooking it for the family). Gender prediction: #teamgreen, but I am starting to think this is a girl. Stays low in my uterus, no appetite, and moody. I was always happy with my son. Preparations for baby: Not yet, but I'd like to buy a baby book this week. Looking forward to: Seeing my mom for a pre-Easter visit.